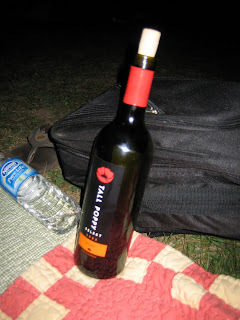 The "Tall Poppy" wine was really good and I'm sure the play was really good too, but I wouldn't know for sure because after a few glasses of wine, I managed to fall asleep for the last hour or so. Marc and I went to the beach on Saturday, which is always a good time and then it was off to my 10 YEAR HIGH SCHOOL REUNION!! It was so much fun to see everyone, and the planning committee did a great job of finding everyone and pulling it all together. 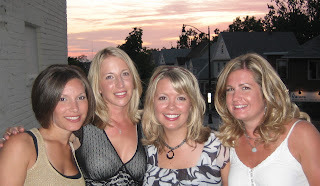 That's Andrea, Sarah, Christa and me... still best friends after 10+ years! Hi, I was just wondering which agency you are with. We are just starting the process and are trying to choose an agency. Good luck on getting your dossier together!